HANOVER, Md. 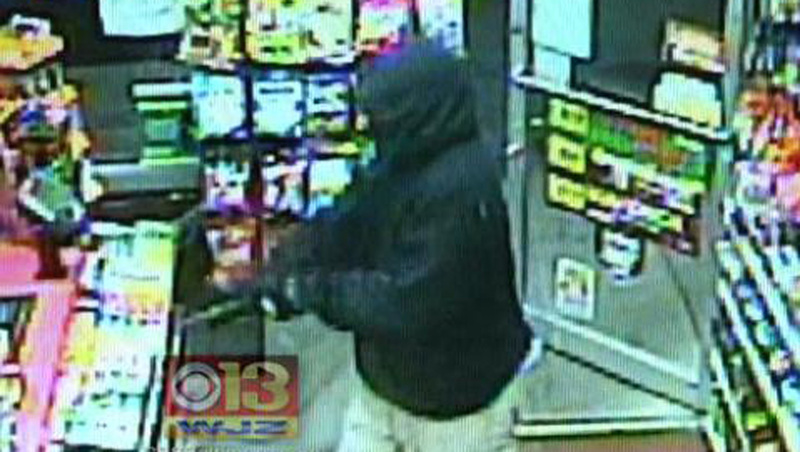 - Police in Maryland are searching for a killer who gunned down a gas station clerk, reports CBS Baltimore. Authorities are seeking the public's help as they try to find Rajinder Kumar's killer. The Exxon gas station clerk's death was caught on camera last week, when a masked gunman entered the Hanover, Md., store at about 1 a.m. Thursday, according to the station. The killer shot Kumar right away, grabbed money and fled the store. Detectives in Anne Arundel County have made the surveillance footage public, hoping someone might recognize the killer by his walk or his stance, or even something simple like the clothes he was wearing, reports CBS Baltimore. "If I put on a mask right now, my family and friends would know who I am," said Lt. T.J. Smith. "And we believe that family and friends will know who this person is if they just watch the video." According to the station, investigators have spoken with the driver of an SUV that pulled into the gas station parking lot as the killer ran away, though they have not reported what they learned from the conversation. Officers are scouring all nearby surveillance camera footage for any clues to the shooter's identity. The station reports the victim had been sending his paychecks home to India to help pay for the education of his teenage daughter and son. Kumar's large extended family in the country is asking U.S. authorities to send his body home. Anyone with information on the case is asked to call Anne Arundel County Police homicide detectives at 410-222-8610.